Is your web browser Google Chrome running slow and it’s taking too long to respond ? Or maybe you just want to clear the cache of your web browser so you can view the newest images on a website ? Well today you will learn how to clear cache on Chrome 2017 and it’s pretty easy and can be done with just a few clicks. Why do people clear cache ? Sometimes a website gets updated with new images and texts but the browser will still display the old images in some cases. This happens when the web designer uses the same image name as the previous one so the web browser thinks it’s still the same image and display that old image. Why this happens ? Well all web browsers keep a local copy of all images you viewed on websites so it can load much faster next time you visit. First of all click on the 3 dots at the top right side and then select settings. Scroll down to the bottom and click the “ADVANCED” text to show further options. 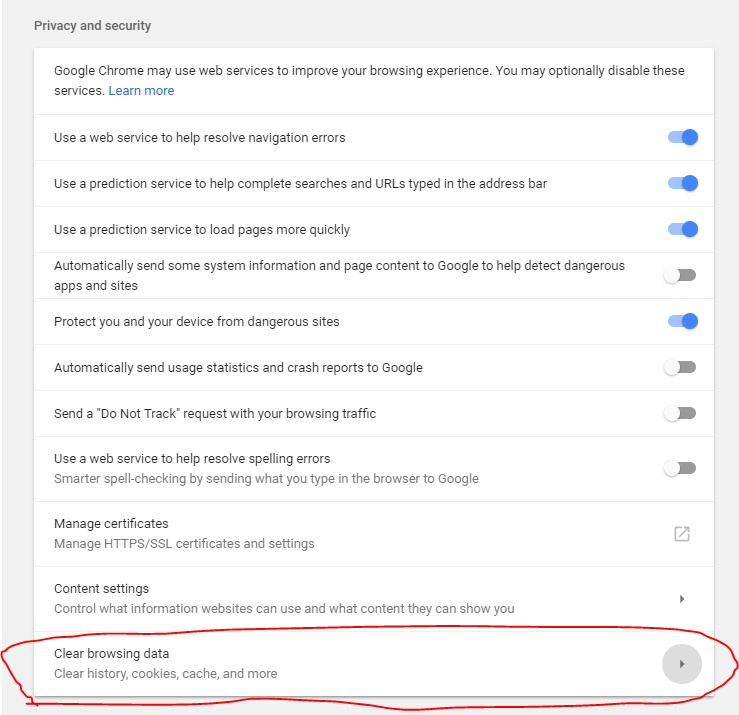 Find “Privacy and Security” and on the bottom of that section click on “Clear browsing data”. Now have you done it! Now you can clear caches, passwords, history and others. 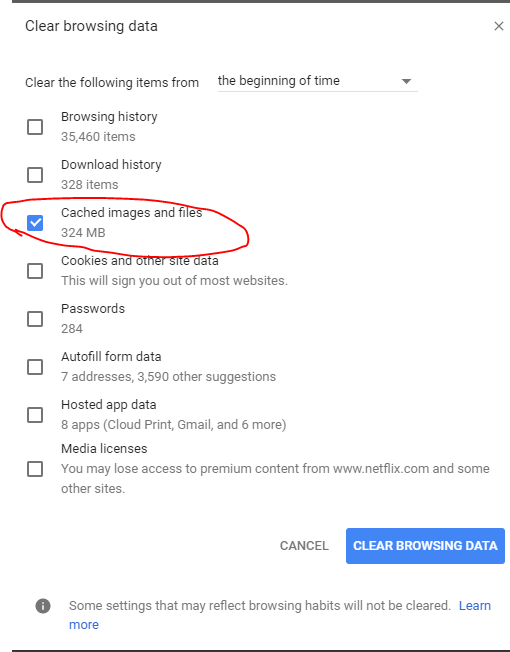 If you just want to get rid of Cache (images, files) then select “Cached Images and files” and press Clear browsing data. It may take a few minutes depending on your computer hardware. Maybe you want to browser the web without keeping any history of which websites you visit then you can just use the built-in feature called Google Chrome Incognito. It’s a special feature that doesn’t record or keep any history of which websites you visit which can be good if you want privacy. However it doesn’t mean you’re invisible, it just won’t keep the history of what websites you opened. Websites you visit will still be able to see your IP Address and your Internet provider will also still be able to see which websites you visit. If you have any question feel free to comment below or contact us.